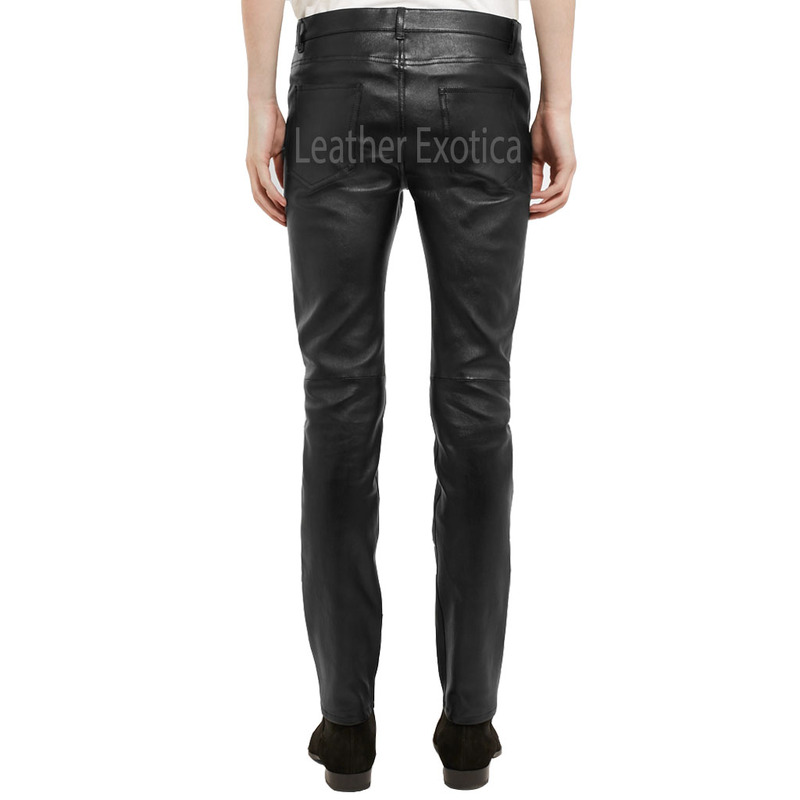 Get hold this new style men leather trousers which is crafted from Lamb skin Leather and has a front zipper closure with button. Also, it has five pockets and seams across the knees. 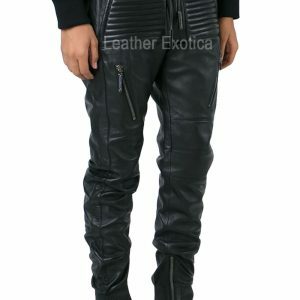 This leather pant has loops at the waist and this is an ankle length leather pants which is available in several colors and all sizes. 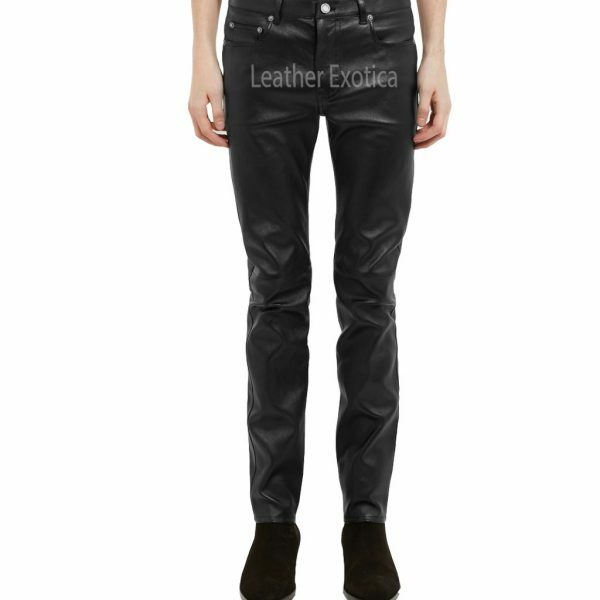 So men get this cool and classic style skinny-fit men leather trousers. 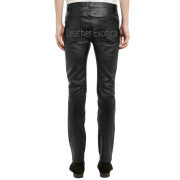 This is panled leather pant for men which you can pair with a shirt and formal boots. Hurry up! !